The average weekday for a college student includes 8.3 hours of sleeping, 3.7 hours of leisure and sports, 3.3 hours of educational activities, 3.1 hours of work or related activities, 1.5 hours traveling, 1 hour of eating and drinking, 0.8 hours of grooming and 2.3 hours of other things. How does your weekday add up? Managing your time is a skill that can be developed. Do you know where your time goes?
" As we advance in life it becomes more and more difficult, but in fighting the difficulties the inmost strength of the heart is developed." How good an understanding of time and how you spend it do you have? How productive are you? Do you know how to be productive in less time? Use this tool to help you identify strategies that you can use to increase productivity. 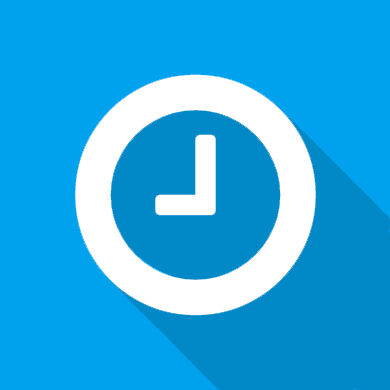 Do you know how to manage your time? Do you procrastinate? Do you underestimate the amount of time a task will take to complete? Take this time management test to find out. How can you apportion your time each week so that you are balanced and meet your responsibilities? Mind Tools is a website that was established to help people learn practical and straight forward skills they need to excel in their career and they provide training solutions for companies and governments. They offer time management skills that are simple and practical techniques that have helped the leading people in business, sport and public service reach the pinnacles of their careers. The skills can help a person become highly effective, by showing them how to identify and focus on the activities that give them the greatest returns. Psychology Today is a website that is all about people and what makes them tick. The site is supported by over 750 psychologists, academics, psychiatrists and authors. They offer help with planning for the future, setting goals, prioritizing tasks, monitoring your time, and helping a person recognize why time management is important in these plans, as well as tips about procrastination, boredom, and deadlines. The Study Guides and Strategies web site was created as an educational public service, and the student guides are collaboratively maintained across institutional and national boundaries. Their time management tool will help review how a person spends their time in order to help prioritize their goals and objectives. It helps a person work smarter and create more personal time. The Free Management Library hosts a wealth of informative articles and links to resources on time management, planning, motivation, and more. The library is sponsored by MAP for Non-profits which provides management and board recruitment services to large and small non-profit organizations. MAP’s purpose is to build the capacity of non-profit organizations to achieve mission-driven results. University of Wisconsin provides information on managing time as a college student and how to be successful with time management. They provide tips on creating a monthly, weekly, and semester time management plan. The site also provides timesaving tips and tips on how to revise time management plans.